Poolside Lodge is our largest lodge. 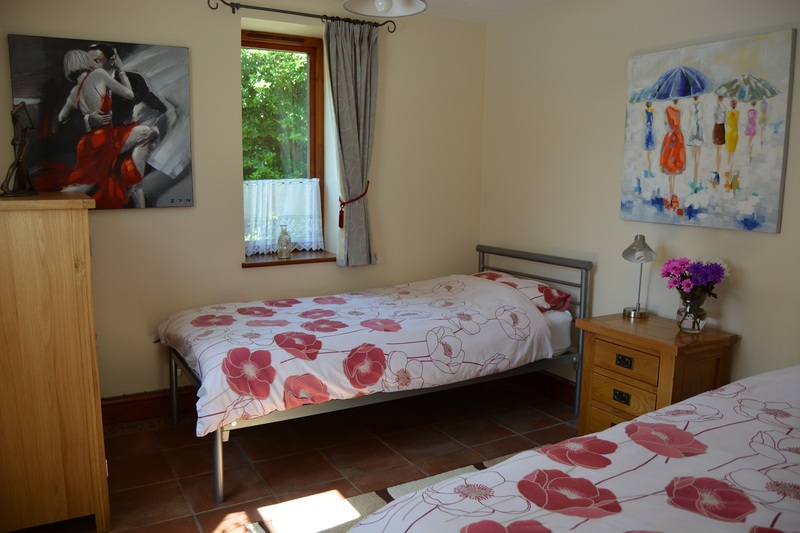 This spacious lodge sleeps 4 guests; 2 in a double room and 2 in a twin room. Poolside has a large open plan living area and family shower room. 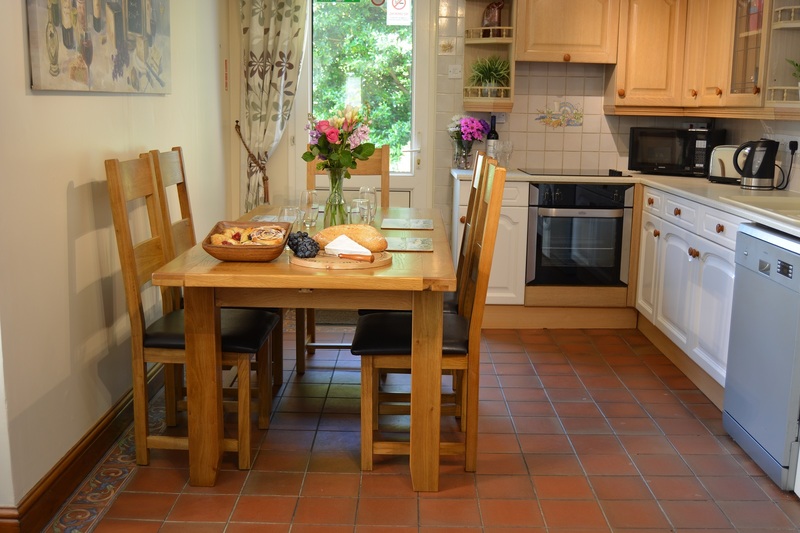 Perhaps you are thinking of extending your holiday out to your parents/family/friends? 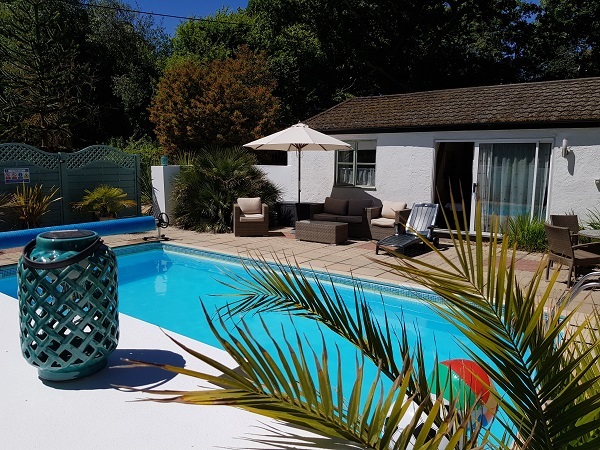 Our Studio Lodge is ideal, it interlinks with Poolside via 2 security doors so you can join the two lodges, but equally gives you the privacy when needed. 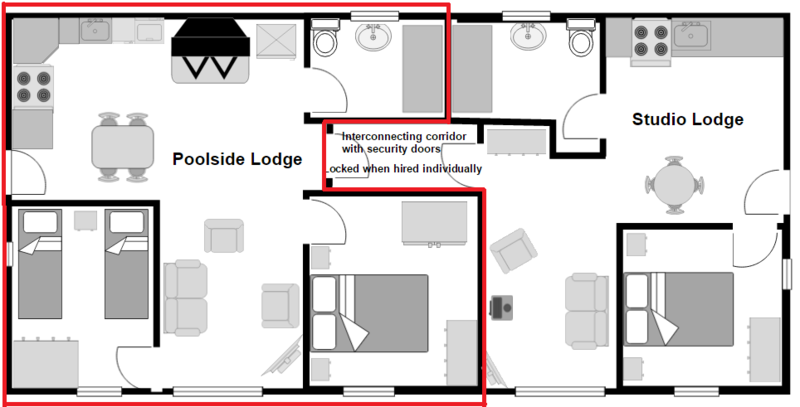 For larger numbers the lounge of Studio can be converted into a screened sleeping area to accommodate a further guest. 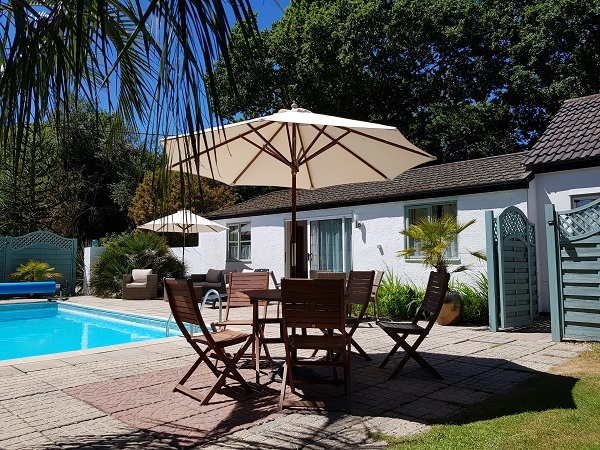 As a combined unit Poolside & Studio can accommodate up to 7 guests. 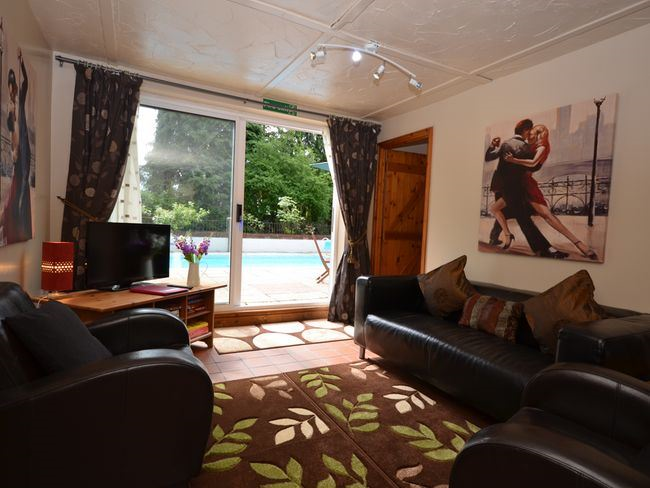 Looking for accommodation that sleeps 4 and want the luxury of a hot tub? 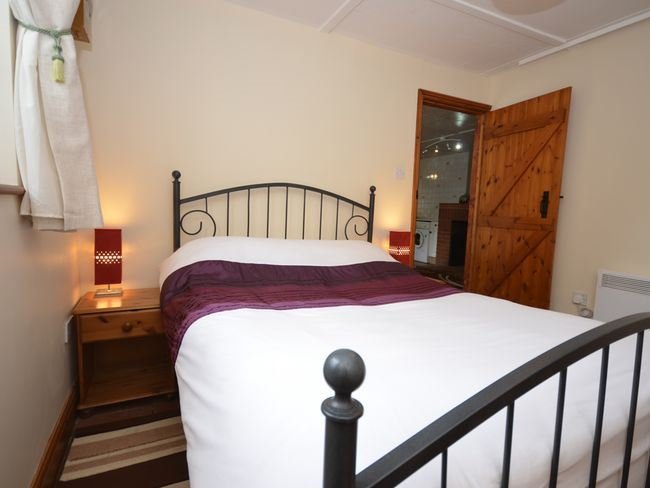 Have a look at our Woodside Lodge.